They do not generate stable social organic relations. We could resume this in the phrase: “everybody does as he pleases”. In these spaces, essential contractual relations of an individual character exist, by means of a transport ticket or by passing a toll station or a control. This spacial theory developed by the French anthropologist also has received various critiques, as for example by Maxi Korstanje in El viaje: una crítica al concepto de "no lugares". However, I think that Augé makes a very deserving intellectual effort in trying to explain the new characteristics of our post-modernity, or as he defines it himself “over-modernity”. In order to better understand the concept of the “non-places”, we have to observe the changes which are producing themselves in our society: the hyper-mobility, the acceleration of happenings, the dis-localization, the exaltation of individualism. One example that springs to my mind is the film “Jackie Brown”, the plot of which centres itself basically in the “non-places”: Commercial centres, highways, airports, car parks, … paradigms of the North American urban model, based on the car. However, in order not to expand this article, I will concentrate on the most quoted example to explain the non-places: the airports. 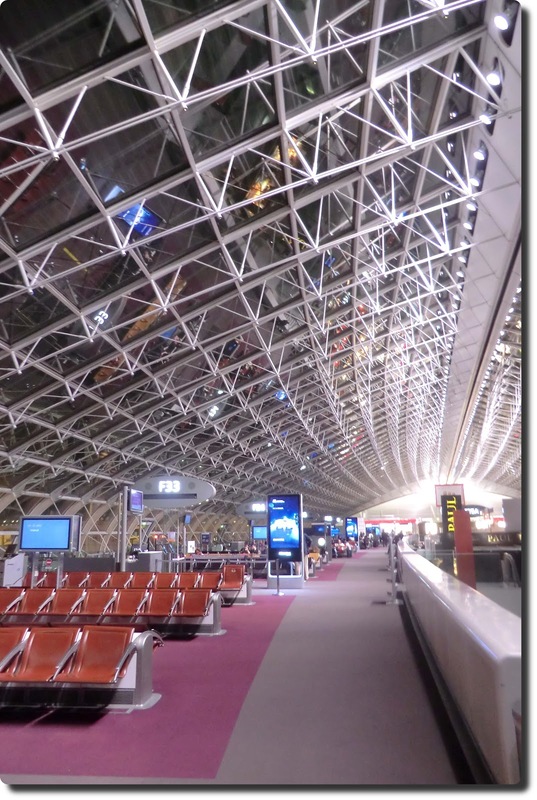 Why an airport is considered a “non-place”? As it is generally known, airports are infrastructures for the transport of persons and goods by air, or in other words, the space, where the “shipment” is compacted / de-compacted” before and after the flight. Let us pay attention on the features that characterize this type of facilities: Passengers that circulate inside an airport move on the basis of the urgency of the moment in order to adapt themselves to the necessities of the transport system. Airports are spaces where movement is conditioned. If we want to catch our flight, we have to follow the itineraries, which guide us. In the interior of the airports reigns the actuality of the perpetual present, where the clients maintain a constant silent dialogue with the text-landscape, which multiplies itself in these installations. 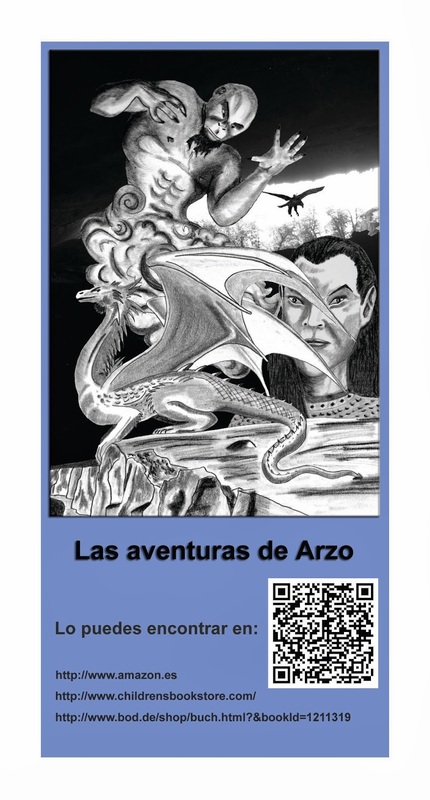 The itineraries transform every enclave in printed landscapes or icons which transmit messages of prescription, prohibition or information thus interacting with the passengers who pass there. In the airports an individual contractual relation is established between the responsibles of the transport system and their users (the contract is the boarding card and the identification document of the passenger). Without this contract, it is impossible to pass the access to the restricted zone, where the service begins, with which each individual person acquires his / her right to the “anonymity of passenger in transit”. Within the “non-places” a very practical “dislocalization” for those who travel begins, although it is more virtual than real. Even if there is no need to identify oneself in each political frontier which is passed during the flight or while changing the plane, the judicious and even religious territoriality imposes itself in determined circumstances (for example if you ask for a glass of alcohol while flying over Saudi Arabia, it will be indicated to you that the prohibition of alcoholic beverages includes their airspace and that they cannot be served until its limits have been passed). Nevertheless, the power of international organisms such as IATA, which has to be recognized, as they are capable to achieve that while flying with airlines the borderlines are simplified. here everything reminds ourselves that we are only passing. Why an airport can also be considered a place? Airports also are human organizations managed by persons who establish professional, commercial and collective (trade union) relations. Those human groups are defined organized collectives, who have the capacity to make the airport transport system work or to paralyse it completely (businessmen, employees, civil servants). They create their own relations, and for this reason are generating one of the principal characteristics which define a place from the anthropological point of view. On the other hand, in the accesses to the restricted zone for those who are not passengers is the place where we find the highest density per square metre of emotions and sentiments: joy, impatience, anxiety or sadness between passengers and their companions due to personal, familiar or labour relations. In my opinion here is where best the borderline between the “place” and the “non-place” defined by Augé can be illustrated. An airport needs to be identified with a name that places it in a map. Normally it is the most important city in its proximity: Barcelona-El Prat, Barajas-Madrid, París Charles de Gaulle, Nueva York JFK. 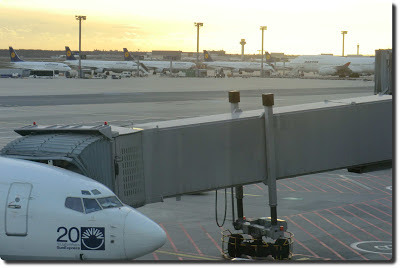 Airports are the entrance and exits of the big cities, the first impression for many tourists who visit them, and for this reason consolidate a symbolism which is very much associated with the city. Air traffic is an activity which has a relatively short history. Since in 1903 the Wright brothers realized their first flights in airplane, scarcely a century has passed, however as time passes, historical bonds with their surrounding territory and its inhabitants are being established. as well as the flights form an entity, the “non-places” (orange colour). However, it is not like that in the rest of the airport facilities. 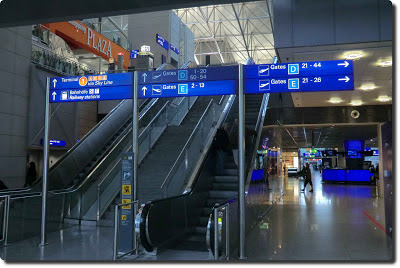 The entry and exit zones for the passengers – once they have passed the security control – are the frontiers between the “place” and “non-place”, although the airport facility forms an entity. 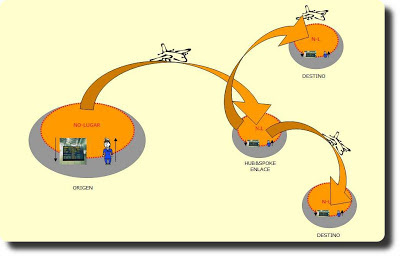 The “non-place” transcends the territorial facilities and continues with the passenger’s flight until he gets out of the exit door in the airport of his destination. Nowadays, a big part of the innovation in the management of human beings and in the intermodality, is centred in these massive interchanges of persons, true laboratories of human behaviour, where new technologies for mobility are investigated. However, due to these peculiarities of the airports as “non-places”, they can also convert themselves into complex laboratories of passing people, constantly supervised because of the potential security problems which might produce themselves within these establishments. After having read the book by Marc Augé, this strange herding sensation, which I always have when I pass through the airports, when I take the underground or drive over the highways, following silently with circumstantial travel companions, the signs which mark the route where we move in the aisles, the platforms and traffic lanes, has confirmed itself.